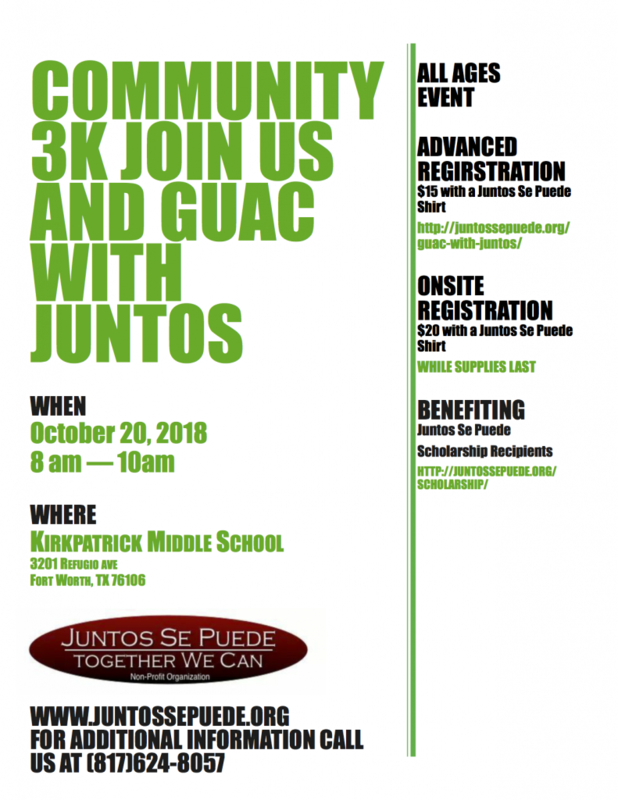 Juntos Se Puede/Together We Can is a Non-Profit 501(C)3 organization that was created to support children throughout the North Side and Diamond Hill Community of Fort Worth. Juntos Se Puede was founded in 2011 by Deborah Gallardo. Our mission is to help families have a successful school year by providing them with the essential tools they need and to connect them with resources so that they may have a successful school year. Juntos Se Puede believes that education is the key to success in the community. Please register by October 14, 2018 to be guaranteed a walk t-shirt. If you register after October 14th, it will be first come first serve at packet pick up for t-shirts.